The worst foundation that I have ever used. This foundation dried down to a powder finish and it wasn’t transfer proof despite setting it with powder. I don’t know if I got a bad batch or what it was, but I’ve never had a foundation accentuate my pores like this one. My nose looked like a sponge! Back to the powder consistency. It went on liquid and as it was drying it turned into a powder finish. It looked cakey and disgusting on my face. It was patchy and cling to certain spots more than others. I tried this foundation 3 times thinking that maybe if I used a different primer or moisturizer beforehand it would help, it didn’t! My face looked like a hot mess. I don’t recommend this foundation. I swear by this eyeliner. Ever since I discovered this felt tip liner, I haven’t ever even thought about anything else! This liner is so smooth and the tip isn’t too thick or too thin. The tip isn’t flimsy like some eyeliners and you can easily draw out a sharp line with it. My favorite part about this eyeliner is how it goes over eyeshadow EASILY. It doesn’t turn shiny or anything. It stays matte black, not gray like most eyeliners. It doesn’t bleed or transfer. I’m in love with this eyeliner and won’t ever use anything else. This stuff works miracles. I’ve been a nail biter practically my entire life. I’ve tried almost everything to stop biting my nails, from chewing gum to wearing nail guards. Nothing has helped until I got my hands on this polish. The taste is so bitter that I never put my fingers anywhere near my mouth anymore. My nails have grown from being little stubs to being long and strong. I love Mavala Stop! The only con here is the price. For the little amount of product you get, this bottle is very pricey. Holy grail face mask! I bought this in packet form to test out, and I loved it so much I had to buy the full sized version. This mask sucked out all my impurities, and I could see the hunk on my face once the mask dried. The smell of this mask is divine. It smells like mint and tea leaves. The feeling of this mask is tingly; and it can be harsh for people with sensitive skin. I use this mask 3 times a week, and it’s lasted me quite a long time. After washing it off, my skin is clear and smooth. My face looks that of a babies, it’s so glowy! If you’re on the fence about this mask, I seriously think you should get it. 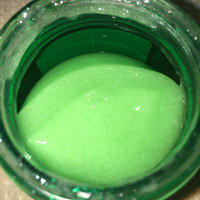 It will do wonderful things to your skin and your pores and you’ll be so happy you got it! This product did not work for me at all! 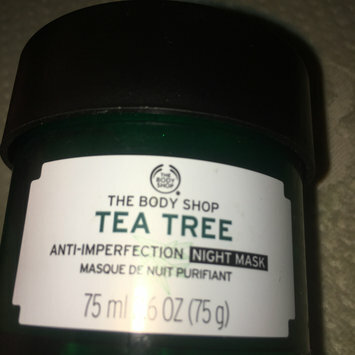 I’m a huge fan of The Body Shop and their tea tree products, I have everything from the Tea Tree oil to the face wash. I feel that this product didn’t help as much as those did. Let’s break down some things as to why I didn’t like this product. First off, it smells very faintly of tea tree. Which leads me to believe that it’s diluted with something and that could be why it isn’t as helpful. Second off, this product is EXTREMELY sticky. So sticky that it’s unbearable, it’s like my face is a lint brush! The consistency of the mask is weird, it’s a mushy green gel. A little bit does go a long way however. I just tap my finger in the glass bottle and there’s enough product to slather all over my face. As for the overall experience, I do not recommend this. I don’t feel like it made a difference in my acne prone face, and I feel that I’m better off using the face wash, toner, and oil. Skip this. It did nothing but stick to anything my face came in contact with, including cat hair! 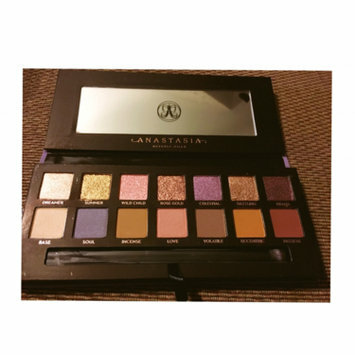 Another hit palette by Anastasia Beverly Hills! I love this palette, I love how easily it blends and how it wears on my eyes. The shimmers are vivid and buttery, they almost feel like a cream shadow. The lattes are a bit powdery and have a tad bit of fallout, however that is to be expected when shadows are extremely pigmented. I love using this palette for a glamorous night time smoked out look. I highly recommend this palette! This is a blinding highlighter fans dream come true! I love this palette as it offers several different options of colors. I am a light medium skin tone and almost all of these colors suit me except for the very first one Behbeh Girl. I usually use that one as an inner corner highlight or brow bone highlight, but if I put it on my cheeks it looks ashy. I especially love the fan brush that came with it, it’s stiff but soft. It helps distribute product well. The highlighters are like butter. They glide on like a dream, and one swipe; and you’re good to go. They’re very beautiful, and they don’t have any chunky glitter in them at all. I recommend this palette! Oh my gosh. Where do I begin? First off, this is the only primer I will ever use. I’ve used so many different primers such as Porefessional and Tatcha, and recently I noticed that they make my nose and forehead area look EXTREMELY textured. I mean, my nose looked very bumpy and you could see my very large pores when I wore foundation on top. I originally thought that my foundation was to blame, but I used this primer with my foundation; and my skin looked smooth and silky. 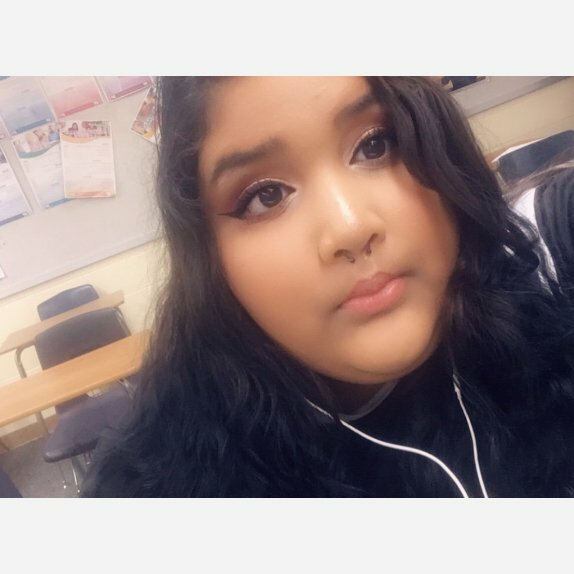 I had baby skin, my pores were filled in and I didn’t have that annoying texture on my nose. This product feels like silk on the skin, it glides on smooth and will make your foundation last for a long time. I love this primer, and will recommend it to everyone! I’ve had this palette for about 3 weeks now, and I’m honestly in love with it. I’m in love with how creamy the shimmers are, they’re almost like butter. The pigment from every single shadow is intense, and you only really need one dip with your brush. 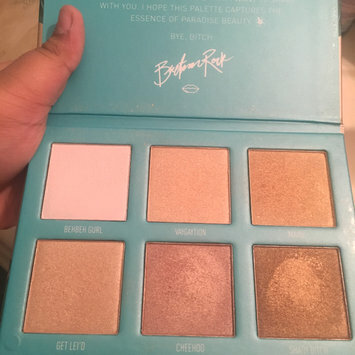 A lot of people have been comparing this palette with the ABH Subculture, and I strongly disagree with that. Subculture was just a mess, almost half a pan of shadow was gone after one dip with my brush. With Norvina, there is some kickback but nothing as bad as Subculture.